Where did these instructions come from? If my 90 year old mother is on Linkedin why not? "Why am I wearing a stupid box with drawers painted on it?" Enjoy your sewing retreat. Sounds great. Oh, Barbara! These posts always make me laugh out loud...at least once. It was the comment about one-eyed construction of a bound buttonhole... oh, and again that the visiting dog is enjoying himself. Thank you for my first two chuckles of the day. Looking forward to the report on your sewing retreat birthday - sounds perfect! Large dogs and their enhanced access to kitchen counters, etc, takes some getting used to! I think it sounds like a perfect birthday gift to yourself. Block out everything else as well as you can and get into the sewing zone. You deserve it! Happy Birthday! Such a great post! We really laughed! I have been sewing for 3.5 hours, and need to stop to eat (LOL). The instructions with commercial patterns are pretty awful. I use mainly vintage, and when I don't I never use the instructions.... new sewers would get very confused. I am finishing a summer trapeze dress. Now to add tights and a T. Also measuring the fabrics I have for dolman jackets. Will morph a Vogue with Vivienne Colle's 1967 book, with self-drafts. Sewing keeps me sane(r). Cathie! Yes. What happened to great instructions that used to be included in all patterns! Have the pattern companies just become lazy? Saving paper? What's the deal? I've been composing a long letter for a long, long time and now it's just about ready to send. They need to know that we need to know. Oh the dog story – he needs a muzzle! 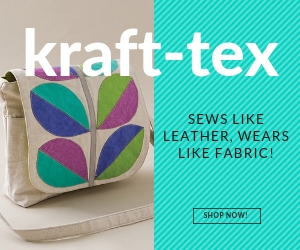 The sewing retreat sounds divine. Hope you'll take lots of pix. Okay. No pix. 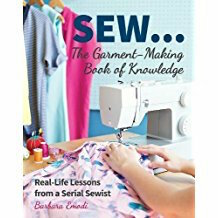 You need to just sew. But tell us about it later. Happy Birthday, Barbara! No...no better gift than a sewing retreat with sewing people where you don't have to pretend! ;) And then there is the story about our Golden, Max. The recipe for the Cheddar Pepper Bread that I make is now called Max's Favorite. He snagged it not once, but twice! off the counter. Many years ago, when the kids were little. Thanks for the memories! Happy Birthday, Barbara! I think you discovered the perfect gift to yourself! Depending on the height of your refrigerator and size of said dog, be careful if you keep or place edibles up there. My aunt and uncle's Alsatian devoured the pork chops that were thawing topside many years ago. Oops!